Honey is a sweetened foodstuff created by bees using nectar from flowers. Honey bees transform nectar into honey by a method of regurgitation and vaporization. They store honey as the main food source in wax honeycombs inside their beehive.The price of natural honey is comparatively much higher than that of other sweeteners because of its extremely high nutritional value and exceptional taste. Honey can be adulterated with inexpensive sweeteners like corn syrups (CS), high fructose inulin syrups (HFIS)or invert syrups (IS), etc. 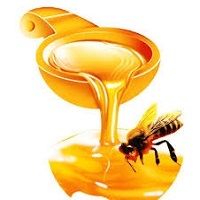 A variety of logical methods have been established to detect contamination of honey like isotopic (stable isotope methodology) ,spectroscopic, trace elements techniques, chromatographic and thermal analysis. However, a few of these approaches are time-consuming so please contact us to test it for you.